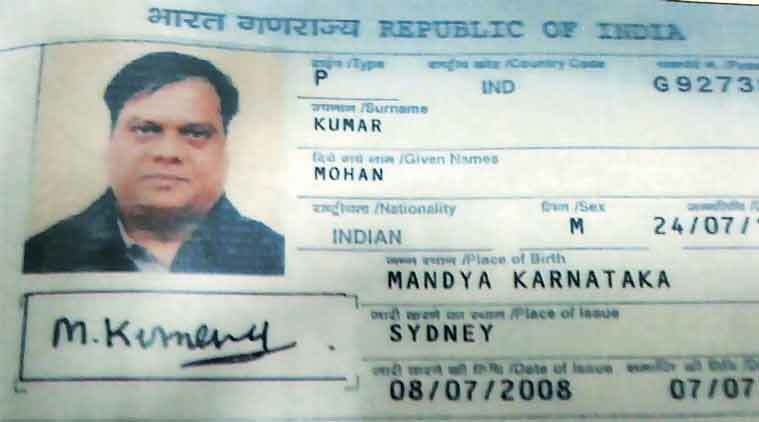 While Interpol Indonesia has said it was tipped off by Interpol Australia about gangster Chhota Rajan flying from Sydney to Denpasar Bali airport on Garuda Indonesia flight GA715 for a period of 15 days, there is no clarity on how Rajan secured the Indian passport he was using. When Rajan was arrested by a single police officer at the Bali airport on Sunday, he was found to be holding an Indian passport — No. G9273860 under the name of Mohan Kumar, hailing from Mandya in Karnataka — which was issued in Sydney on July 8, 2008. Questions are now being raised about how Rajan managed to secure an Indian passport. Rajan has often been viewed as being close to Indian intelligence agencies who were keen to utilise his network against Dawood Ibrahim. During a briefing on Tuesday on the India-Africa summit, Ministry of External Affairs (MEA) spokesperson Vikas Swarup was asked how Rajan managed to get an Indian passport. “This press conference is not on Chhota Rajan,” he replied. 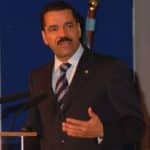 MEA officials, however, said the matter was being handled by the Ministry of Home Affairs (MHA) and security agencies, who would be in a better position to throw light on the matter. Asked about Dawood, Rijiju said Home Minister Rajnath Singh had already stated in Parliament that the government would leave no stone unturned to bring back the underworld don, believed to be hiding in Pakistan. “Indian government is committed to bring back Dawood,” said Rijiju.